About a month ago we adopted a kitten. 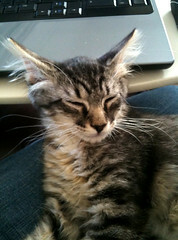 When we adopted him he was only 3 weeks old and weighed about 12 ounces. They had named him Tank and we thought name fit him perfectly because Tank has no fear. Despite his size Tank can take down our 11 month old dog – who outweighs him by 20 pounds – and can climb anything. I love him, boys love him and even my husband with allergies likes him. Here is where things get hairy: Tank came to our house and immediately proceeded to go #2 on our off-white carpet. We noticed that he had the most severe case of the kitty-trots. The smell cannot be described by written word, you guys just have to experience it personally. An emergency trip to the vet, tests and specially prepared meds for a small kitten, prescription kitty food and a week later he still had the trots. He started using his litter box but with emergency visits to our carpet. So off we went to the vet again; an overnight stay, lab tests with clean results and a new perscription kitty food later back home we came. The results are so so at best. Mr. Tank should be named Mr. Skunk. My sincere apologies for the way this post is going but I must tell you his gaseous excretions are constant and deadly. 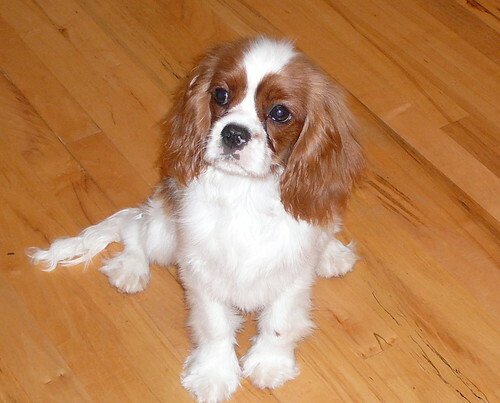 Our carpet is a lost cause, he still has the trots and I am at a loss as to what to do and what to feed him. 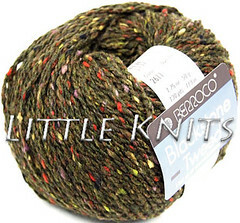 On a yarn related matter, watch out for a blog give-away next Monday. I know, it has been a long while. 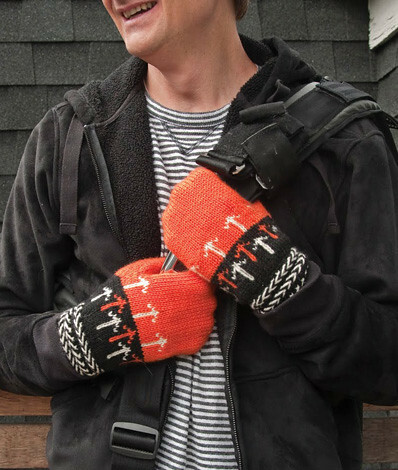 I was simply not able to do it all between Ravelry, Twitter and Facebook. What to do first and how much and when. There has been offers of help and to those who offered many thanks! Let me try my hand at this one more time and hopefully this time I will be more consistent. And, if I know that you are reading I promise I will write often. I will start with a bit of quick news: did you know that we have started Ravelry Coupon Mondays? 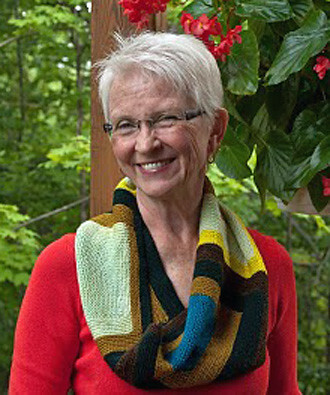 Just join Little Knits’ group at Ravelry and watch for coupon announcements. Every Monday it will be something new. When you join us on Ravelry please share your projects with us and let me know what you would like to see at Little Knits next. And a personal find on etsy, Grey Drizzle Fibers. This is a fairly new dyer with a great feel for subtle color combinations and color-on-color variation. I do know the dyer but we have no financial affiliation, meaning there is no profit motive for this post and I will not benefit from it. Simply put I love the colors created by this small indie dyer. 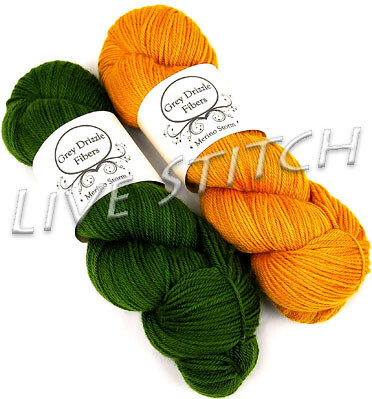 I got two hanks of her 4-ply DK weight merino just to play in colors that are not really characteristic of my favorites including a beautiful green called Leaf and in a warm honey amber called Doubloon. The merino is soft and smooth with a tight-but-not-too-tight ply but what makes this yarn so special is the dyers’ colors with their subtle color-on-color variations and rich hue saturation. I also asked Ms. Grey Drizzle to do a special project for me and she was kind enough to agree. 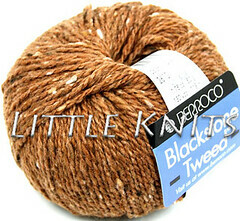 We have been testing a super fine single ply merino from Italy at Little Knits. So I asked her to dye the lace weight of this lovely merino in a deep deep blue-red for me and she did! I call this red Drop-dead Red and it is goooorgeous! 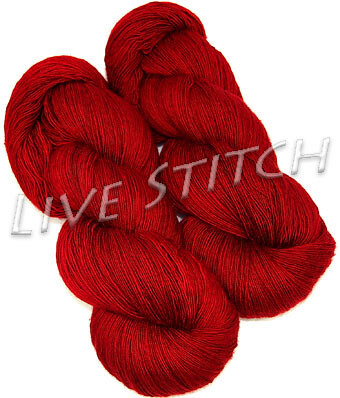 I have about 2700 yards of this super soft merino in Drop-dead Red and I cannot decide on a project…I do need help so your suggestions would be greatly appreciated. Just a quick blog entry to let you know that our retail location will be closed on Saturday the 21st in preparation of a large end-of-year inventory sale. We will reopen on Sunday, the 22nd at 11 AM for the first day of our sale. New and old inventory from lines such as Debbie Bliss, Mondial, Katia, Cherry Three, Louisa Harding and Rowan will be reduced from 50-75% including books and magazines. We hope to see you at Little Knits in West Seattle this Sunday and during the rest of the year when you can make it over.